Since the start of Atesto, our community has hosted gatherings at various public venues, utilizing these theatre spaces for people to share their stories through a number of creative mediums. This fall we decided to go on a road trip around the Lower Mainland, hosting collaborative gatherings with a few local churches. We wanted to share with you parts of our journey over the past few months, through Colin and Catlin’s perspectives. Many of you have been riding along with us. For that, we are extremely grateful! The story of our road trip started with Catlin and Colin meeting over coffee one day. They were anticipating returning to the GoldCorp Centre for Performing Arts but discovered that there was no venue available for our October event. When Colin tried to find solutions, listing other venues and ideas, maybe an acoustic session, Catlin explained to him that he had already explored those options. The road trip was in some ways a critical solution to a problem like the ones our team would face each time we organized Atesto events. It was a blessing orchestrated by God, and an opportunity to revisit our core values: to connect people and encourage creativity in testimonies; to empower the local church, and walk alongside them as they share with each other in ways that might be new to them; to facilitate unity and allow ourselves to be a part of something bigger altogether. The road trip was powerful because the heart of Atesto has always been about recognizing that every person has a profound story, intertwined with Jesus’ presence and work in each of our lives. 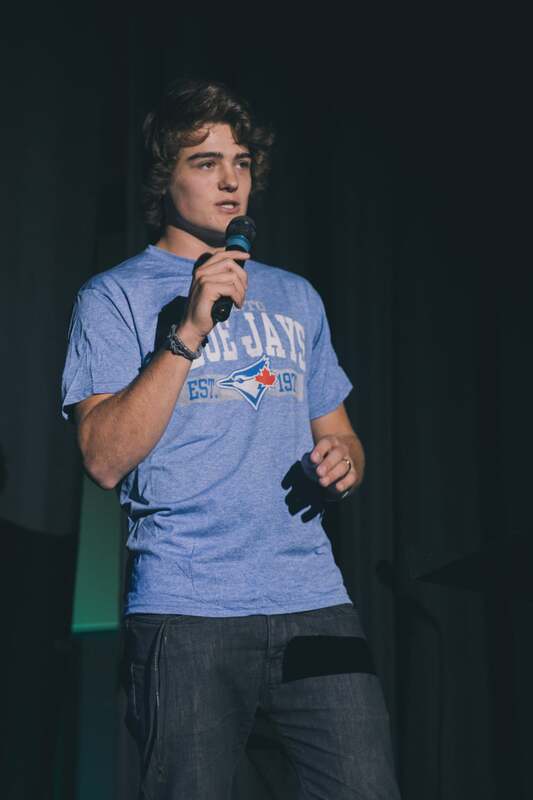 One of Catlin’s favourite moments during this trip was his experience of God speaking to the congregation when our music team shared “Let Every Eye”—an original song written in the fall—as well as the story behind it. The road trip has been meaningful to us and we’ve loved being part of what God has been doing in different communities. We have made stops at Pneuma, Tenth, and Peace Portal, and it has been amazing worshipping with many of you—we have been reminded that people's stories are valuable, because people are so valuable. You matter. A lot. As you might already know, Missions Fest will be our final stop on this journey and we’d love to see you there! We will be there on Saturday, January 30th, from 1:30-3pm in Canada Place Hall A. Will you come celebrate with us? If you have joined us for one of the stops and there are moments that have stayed with you, please share with us in the comments below. We would love to hear about your experiences!